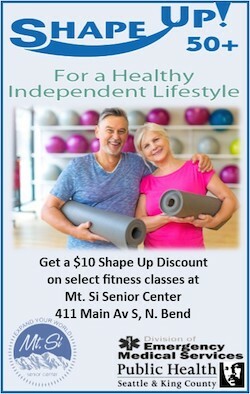 With cold weather comes beautiful surprises in the Snoqualmie Valley – not to mention pretty uncommon. North Bend resident and photographer Kaylyn Messer heard about a cold weather phenomenon occurring on the Middle Fork of the Snoqualmie River and promptly decided to check it out on Saturday, January 7, 2016. What she discovered was breathtaking: a spinning Ice Circle, which she captured and shared on her website over the weekend. According to Wikipedia, ice circles, or ice disks, are considered a natural phenomenon that occur in slow-moving water in cold climates. They often form on outer bends of rivers when accelerating water creates a rotational shear, breaking off an ice chunk and twisting it around. As the ice chunk rotates, it grinds against surrounding ice, smoothing into a circle of thin ice. 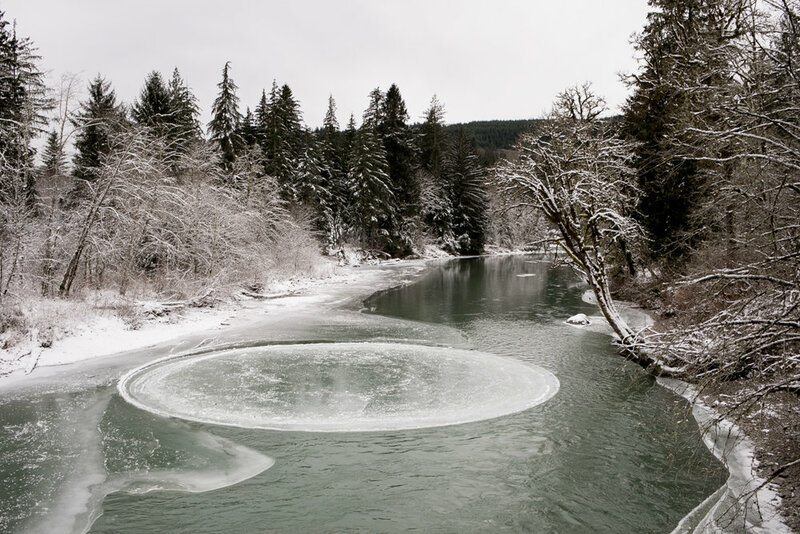 Ice circle on the Middle Fork of the Snoqualmie River. Photo credit: Kaylyn Messer. To view LOTS of amazing shots of the ice circle phenomenon – and to see more videos – visit Kaylyn’s website at www.kaylynmesser.com or visit the Kaylyn Messer Photography Facebook page. Thanks to Kaylyn for allowing us to share her beautiful photos and video.